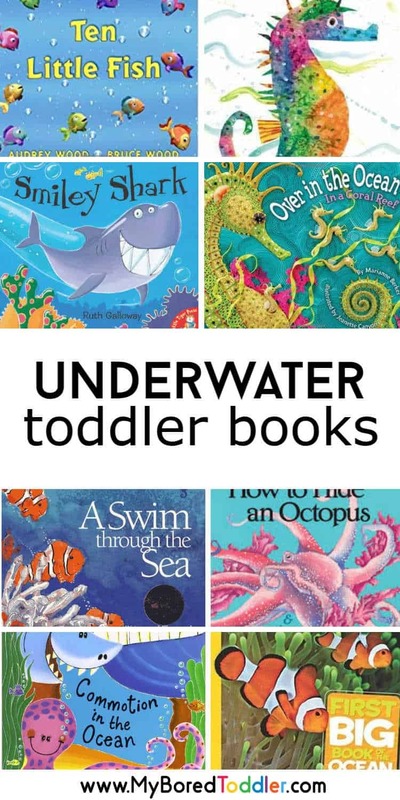 If you’re looking for fantastic underwater books for toddlers then you can’t go past these great ones! These are books that you will frequently find in early childhood classrooms and that are favorites with parents and teachers. This year I’ve decided to have a focus to our toddler books and activities at home, and am aiming to spend a few weeks on each topic. My daughter is a huge Octonauts fan and has taken a big interest in the ocean and all of the animals that live there. For this reason, we are going to start with ‘Under the Water’ and will be planning activities relating to this theme. As a teacher, this has always been one of my favorite themes with young children. The underwater theme leaves so much to be explored that the biggest problem is always narrowing down our activities and deciding which ones are the best. 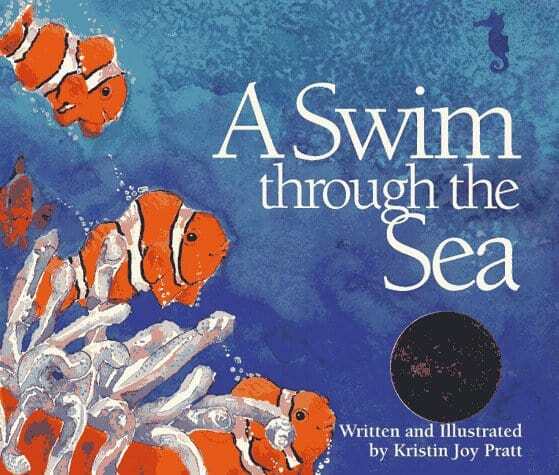 I love incorporating books into our learning, and there are some amazing toddler books focusing on ‘Under the Water’ and ‘The Ocean’ themes. Some of my favorites are below. I’ve focused mainly on fiction books, but I really encourage you to look through some non fiction books with your toddlers. You’ll be amazed how interested they are and if you look at the pictures and ask open ended questions they will learn so much! 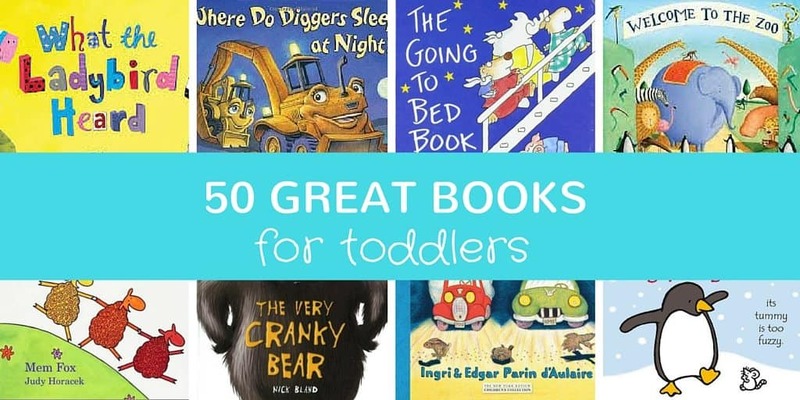 If you read and enjoy these books, make sure to let us know in our Facebook group or share a picture of the under the sea book you are enjoying on Instagram – follow @myboredtoddler and use #myboredtoddler so we can all see! 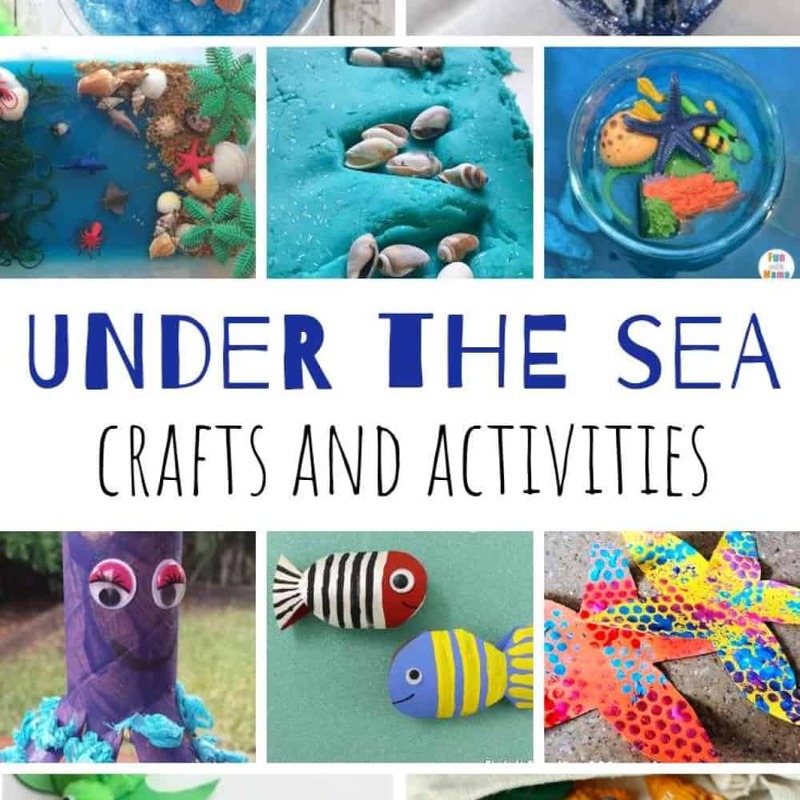 If you want to combine these books with some fun under the sea crafts & activities then you’ll love THESE toddler activities. I’m sure you’ve heard of this one before and if you’ve already read the original there’s also some spin off books too. The illustrations in this book are gorgeous, and there’s a reason so many toddler craft activities are based on this book. 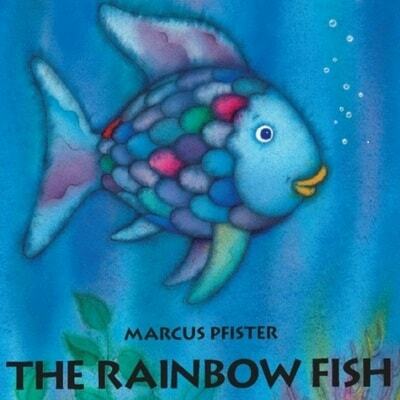 Keep watching our blog as there will definitely be some Rainbow Fish craft activities coming soon. In the mean time you might enjoy this fun Rainbow Fish Finger Painting activity. If you’ve never read your toddler a book by Giles Andreae, you need to stop what you are doing and go and get one now! All of his books are amazing and perfect for toddlers, and Commotion in the Ocean is no exception. Almost every teacher I know owns at least one of his books and I will often buy these books for my friend’s children as presents. You can see Giles Andreae’s other books here. 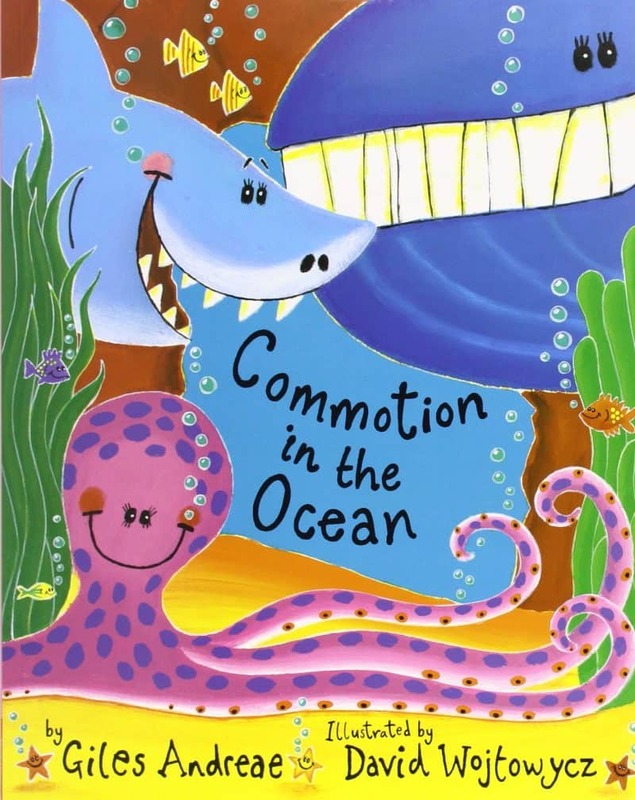 This book if full of rhyming ocean fun and your toddler will love it! Eric Carle is another author who writes amazing books for toddlers. 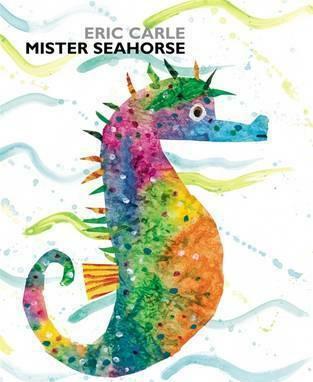 Mister Seahorse has the beautiful illustrations and you come to expect from the author or The Very Hungry Caterpillar. A beautiful story that links so well to great toddler craft activities. The book tells the story of a male seahorse who looks after the seahorse eggs, and along the way you meet other sea animals where the male also looks after the babies. Marianne Berkes is another award winning author that writes amazing children’s books. 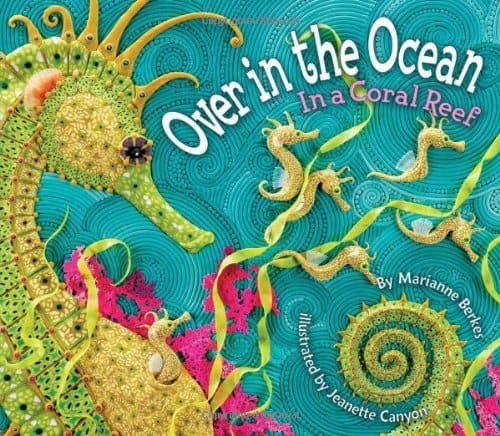 Over in the ocean features rhyming, singing, counting and lots of learning all rolled up in a beautifully illustrated book. The book is illustrated by Jeanette Canyon and the illustrations are photographs of models made from clay. they are stunning! Fish, Counting, Rhyming … another award winning author (can you see a theme here!). 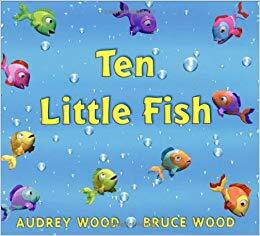 The ocean certainly is a popular topic for our greatest children’s authors, and Ten Little Fish is another book that your toddler will love. 6. A Swim Through the Sea by Kristin Joy Pratt – Available HERE on Amazon. This book is another beautifully illustrated story, focusing on a different animal for each letter of the alphabet. This books is great for toddlers because of the letter focus and beautiful illustrations, but it also adds extra information about each animal which would be suited to an older audience. 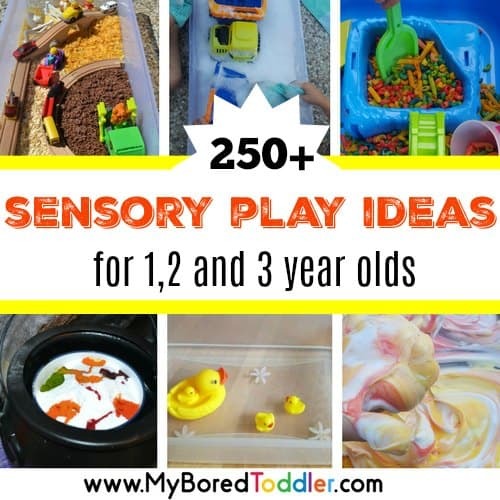 I encourage you to share some of this information with your toddler, as you’ll be amazed at what they will find interesting, and hopefully it will encourage them to ask lots of questions. This book was written and illustrated by a very talented 16 year old. Ruth Heller describes her books as ‘Non fiction picture books in rhyme’ which is a great description. 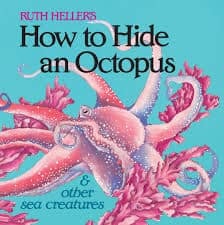 Ruth has a whole series of “How to Hide..” books and this one is great for learning about the ocean and the animals that inhabit it. 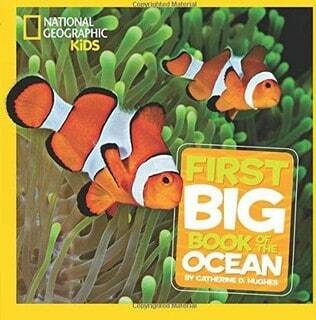 I can’t believe that I’ve only just discovered the National Geographic Little Kids First Big Books. They are such a great resource for young children, providing factual information in a fun and appealing way. You can see all the other topics in this range here . 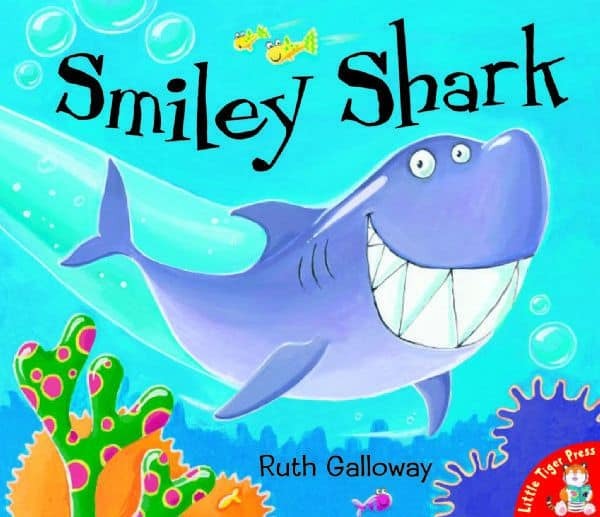 This is such a fun book about a friendly shark that scares all the other animals in the ocean. A definite favorite in our household! This is a book that my daughter received for Christmas and I was very impressed with it. 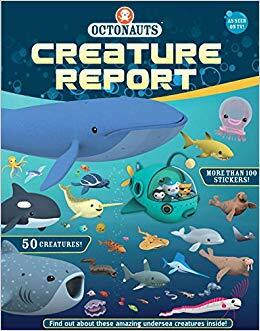 It is a sticker book, but it also contains creature reports on 50 different underwater animals. An excellent book to encourage your toddler to ask questions, especially if you have an Octonauts fan in the family! Is there a book that should be included in our list? Do you love the ones we have listed? Why not pop into our Facebook Group and us know. You can also follow us on Instagram – follow @myboredtoddler. Thanks! Will fix the badge – not sure what happened there! Thank you for sharing! My toddler loves books and is fascinated with everything that has to do with the sea. I will definitely look into getting some of these.